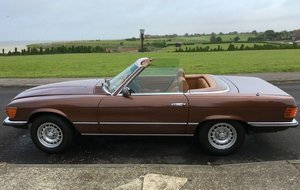 This Carnelian Red 350SL was produced in October 1972 for the Swiss market. A limited-slip differential was ordered as an option. 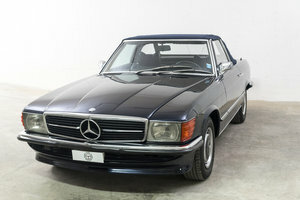 The car got his first registration in Switzerland in March 1973. 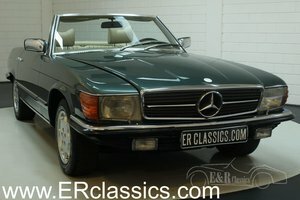 The SL has an automatic gearbox, electric windows, fog lamps, green heat-insulating glass all around, power steering, hard top in body color with heated rear window, white wall tyres and a modern radio/navigation system. As an option we can deliver a period radio with 8-track. 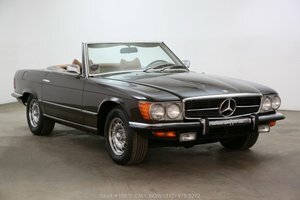 This beautiful low mileage 350SL is presented in remarkable condition with a fully documented history including service stamps in the original maintenance booklet and Data Card. In 2009 the car was imported to the Netherlands. It had two owners since. For maintenance the last owner went to the official Mercedes dealer. More information on: http://www.kucarfa.nl Price: € 39.900,-- The Mercedes has a Dutch title and is easy to register in every EU country. You do not need to pay any import taxes and we can help with transport.